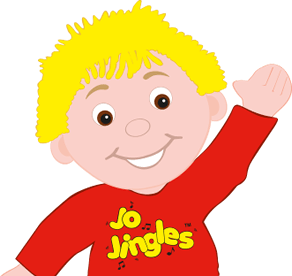 Welcome to my Jo Jingles classes in Linlithgow, Livingston, East Calder, South Queensferry & Uphall. I first came to know Jo Jingles when my little girl was just about to take her first steps and we loved the classes so much that we only left when it was time for her to move on to nursery. Kira is 12 now and still talks fondly of her time in classes and hasn’t yet parted with her little Jo Jingles doll (though she might not admit that to her friends!). Many of the Mums and chums we met there are still in our lives and, in fact, I and two other Mums all became teachers in East Edinburgh for Jo Jingles once our children were at school. I really enjoyed the classes as a Mum and loved being a class teacher for two years. Having started the West Lothian franchise in October 2015 it has been amazing to watch our Jinglers develop and grow in confidence and now many of them are bringing younger siblings to class too which is just lovely. 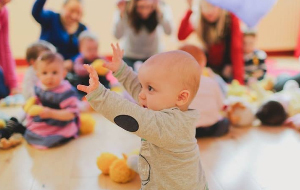 Jo also loves to throw parties so even if you are not able to attend a regular class you might want to consider getting in touch to organise a fun-filled party with music, bubbles, colourful props and lots of giggles. 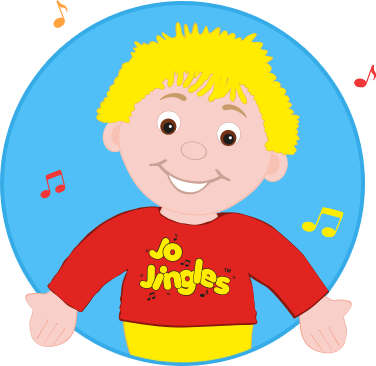 My little boy has been going to Jo Jingles for a full block and I have no hesitation when signing up for the next one. 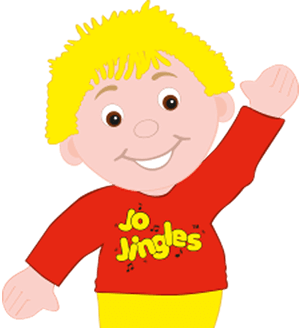 My little boy has been going to Jo Jingles for a full block and I have no hesitation when signing up for the next one. He is quite a shy little boy but he loves the music and Janet helps him to feel comfortable. Worth every penny! Thank you to Janet and Jo for a wonderful time over the past year. You've brought music, laughter, fun and friendships into our lives. Thank you to Janet and Jo for a wonderful time over the past year. You've brought music, laughter, fun and friendships into our lives. Keep doing what you do Janet you are absolutely brilliant...……thank you again! Thoroughly recommend this to all. We started going to Jo Jingles with Janet when Joshua was 8 weeks old. Such a fab way for mummies and babies to socialise once a week! We started going to Jo Jingles with Janet when Joshua was 8 weeks old. 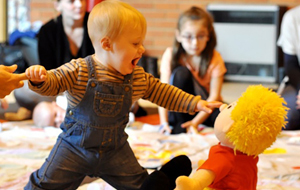 Such a fab way for mummies and babies to socialise once a week! Janet puts such enthusiasm and energy into each class, we always got such a laugh and it’s great to think that all the while Joshua was learning and the classes were playing a huge part towards his development! I don’t regret signing up for one second and would urge any mums with newborns (or even older!) to give Jo and go! I would recommend this class to everyone. Such a fun class with lots of singing and dancing. Janet is very enthusiastic and friendly too! I would recommend this class to everyone. Such a fun class with lots of singing and dancing. Janet is very enthusiastic and friendly too:) Me and Jayden both love it very much! Kacie absolutely loved her first Jo Jingles class, would highly recommend it to other mummies for the wee ones. Kacie absolutely loved her first jo jingles class, would highly recommend it to other mummies for the wee ones. Janet is so friendly and enthusiastic. Thank you, we will be back next week. Amazing. My daughter, Daisy, loves Janet and going to Jo Jingles. Great interaction with the kiddies and they all have a ball. Great class, Janet is fab with all kids and really puts her all into the classes. Thank you. Just finished our final class today as I'm heading back to work. We had so much fun and Janet is lovely! Just finished our final class today as I'm heading back to work. We had so much fun and Janet is lovely! She makes it really easy for babies of all ages to get involved. Highly recommended.